You may remember recently, we wrote about a little girl from Exeter who is suffering from brain stem cancer and who urgently needs pioneering US surgery. Billie Bainbridge's parents are battling to raise £200k for treatment and, with the total currently just over halfway there, another fund-raising event has just been announced. 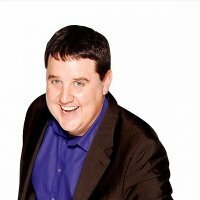 Peter Kay has kindly agreed to play two shows at the Blackpool Opera House this week, on Thursday and Friday (24th/25th Nov). Tickets will go on sale at 10am this morning (Monday), priced at £35 (plus fee) with all seats expected to sell out very quickly. The Bolton comedian was on Alan Carr's Chatty Man show last night where he revealed the show details (before falling off his chair, literally). On his official website, Peter says: "The tour is officially over but, as you can understand, I felt compelled to do these extra nights" . Unsurprisingly, it took very little time for all tickets to be snapped-up for both dates this morning.